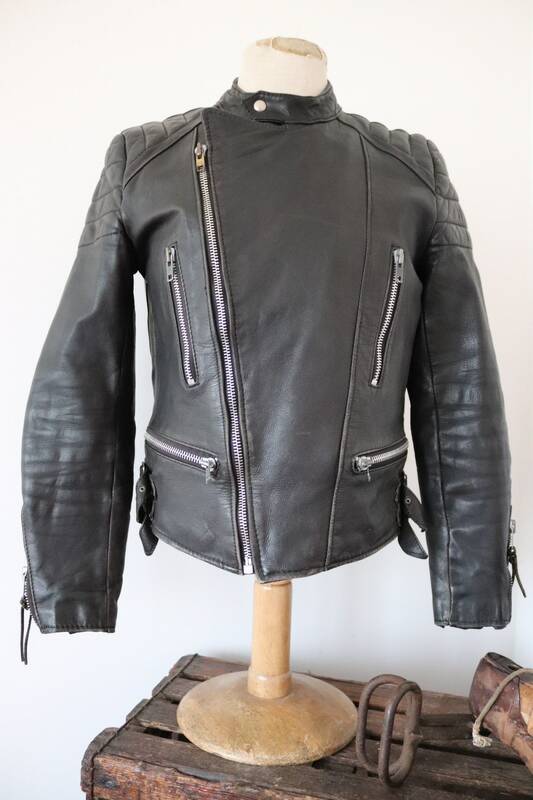 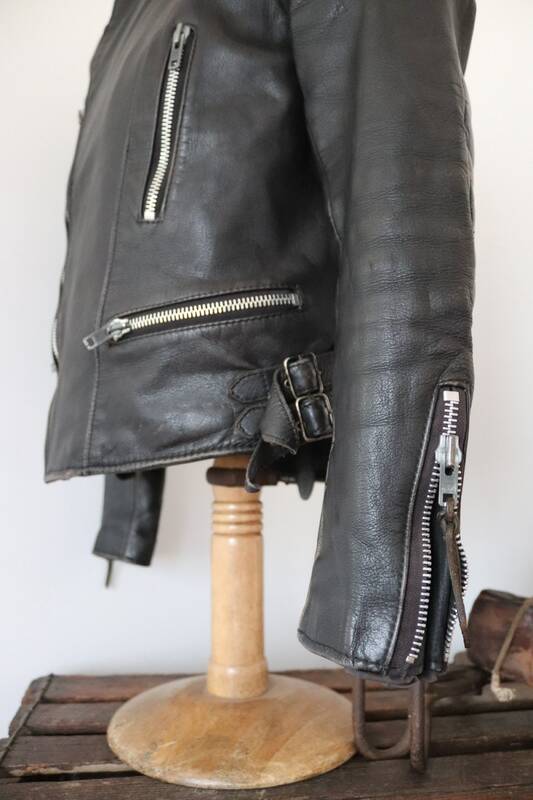 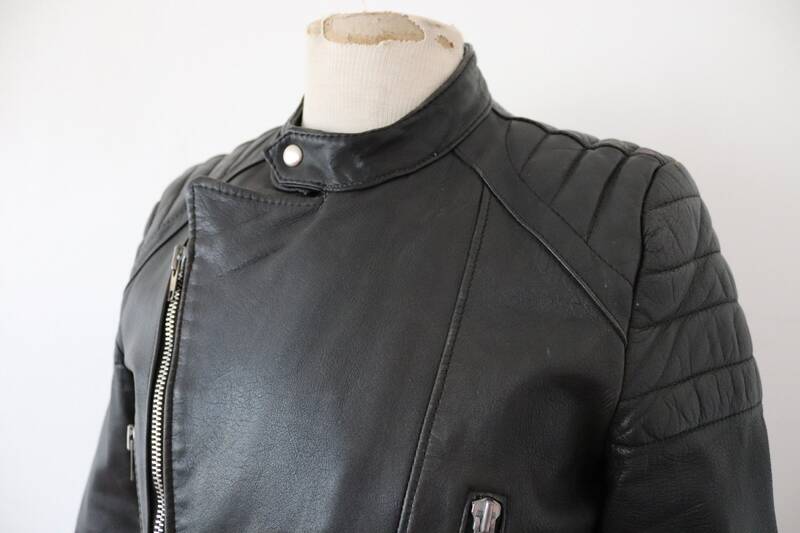 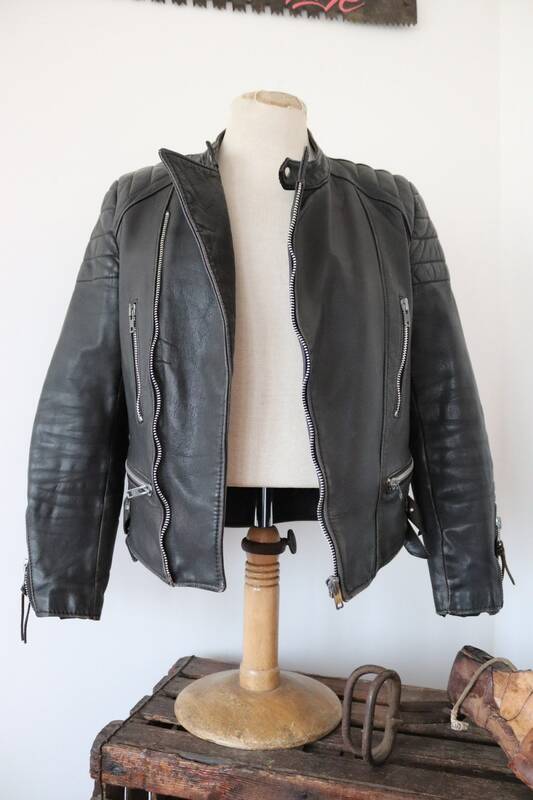 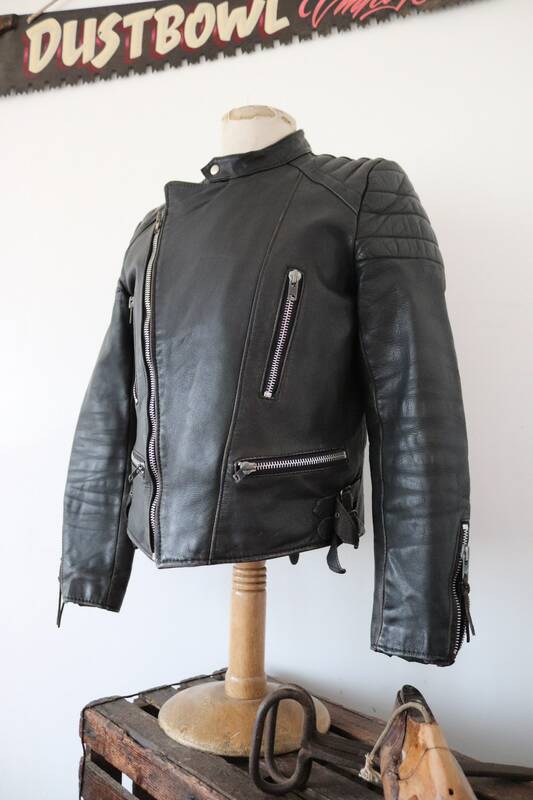 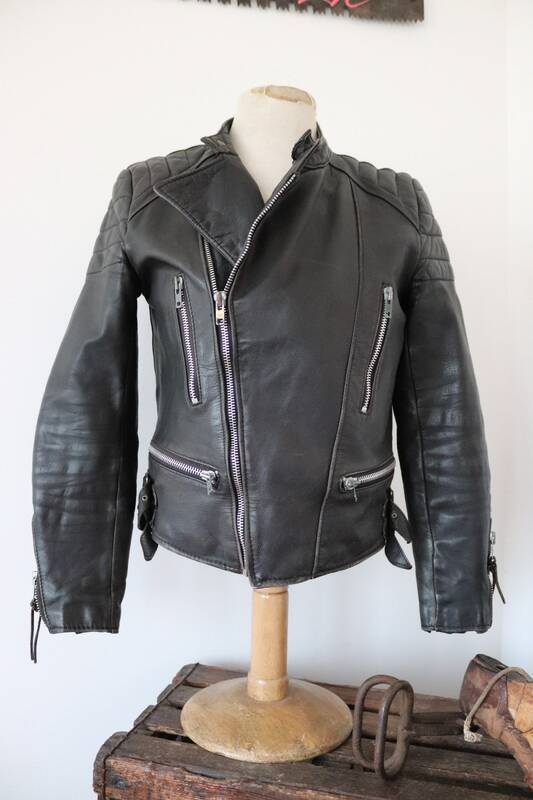 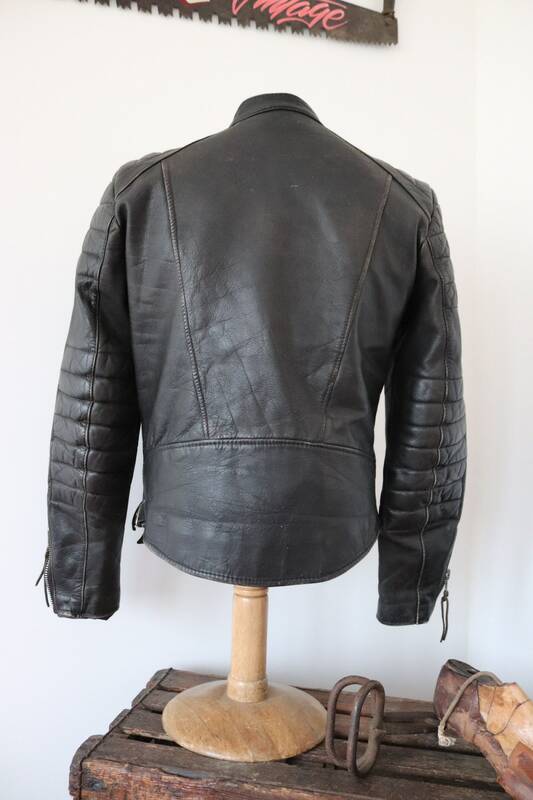 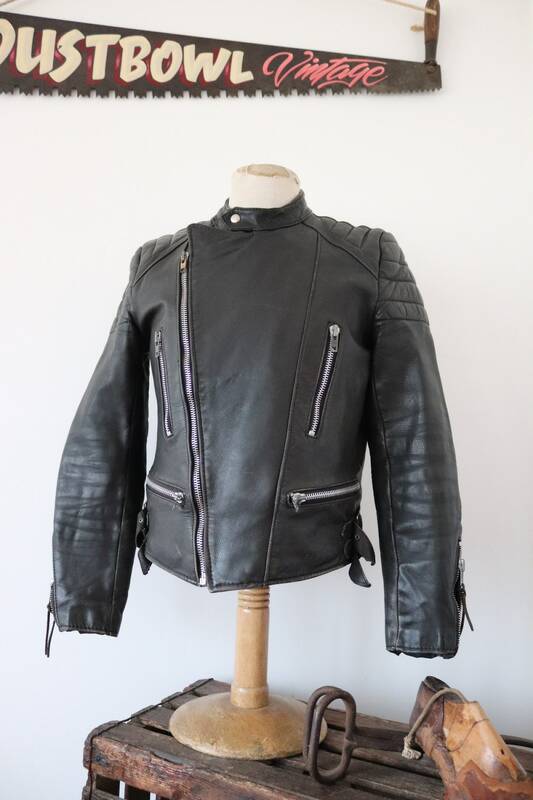 A black leather cafe racer motorcycle jacket dating from the 1980s. 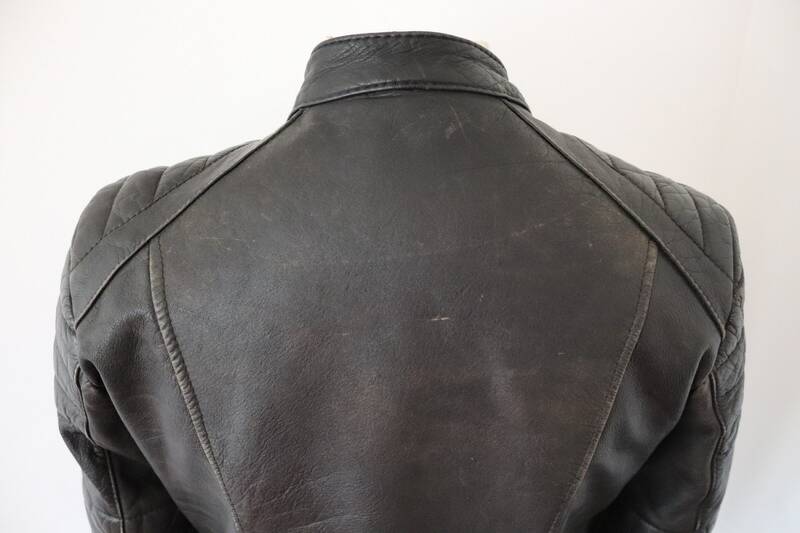 Noted flaws - some minor scuffing over the shoulders, but generally in excellent condition. 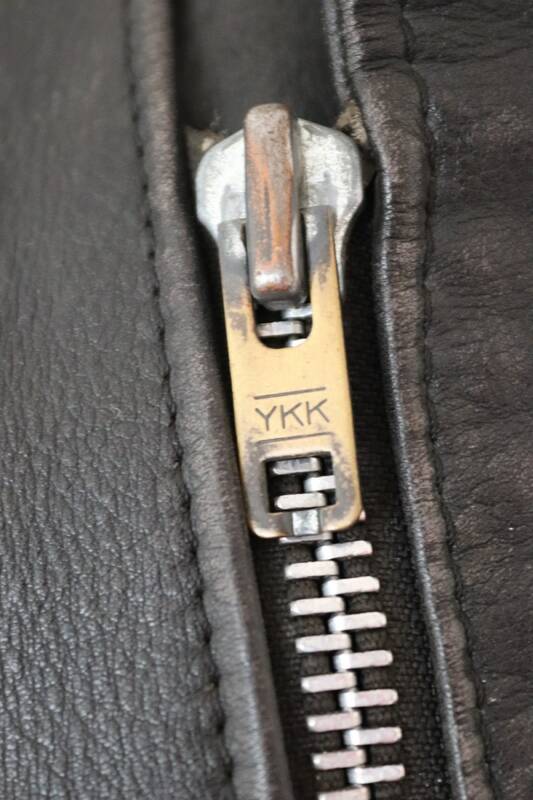 Original YKK zippers run smoothly, internal zip for attaching to trousers, all seams are solid, light padding at the shoulders and elbows, classic cafe racer jacket, soft, supple leather, suitable for men or women.